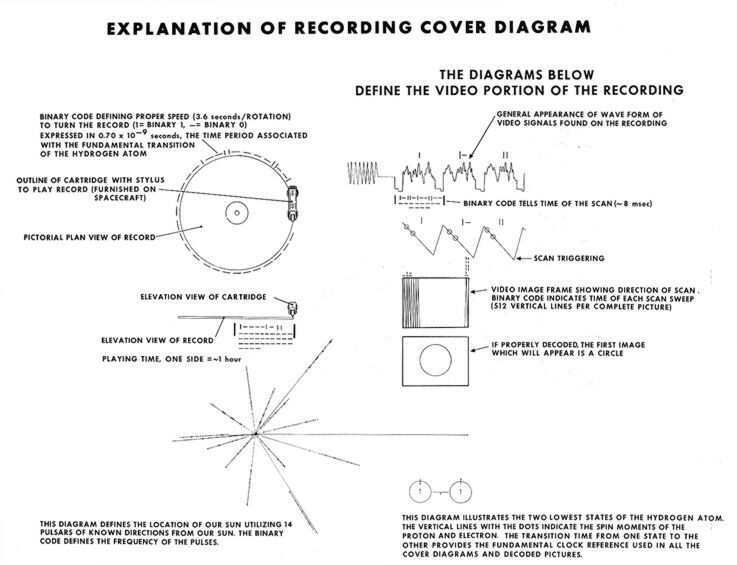 Want to know more about Voyager's record? The definitive work about the Voyager record is "Murmurs of Earth" by Sagan, Drake, Lomberg et.al. Basically, this book is the story behind the creation of the record, and includes a full list of everything on the record. "Murmurs of Earth", originally published in 1978, was reissued in 1992 by Warner News Media and includes a CD-ROM that replicates the Voyager record. Unfortunatelly, this book is now out of print, but it is worth the effort to try and find a used copy or browse through a library copy. Comments ? Questions ? Problems ? Your Feedback is Welcome!